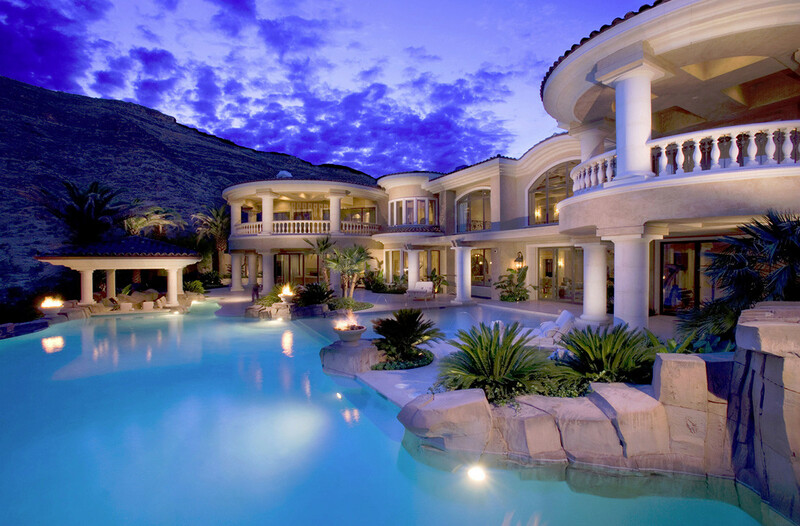 This is one of the nicest mansions that I have ever seen! The pool itself feels like a giant shore as the water goes right next to the door to the back of the house. The view of the house is is also breath-taking! I have tried looking online for where this house is located but I could not confirm where. My guess is it is somewhere in Las Vegas, USA, which seems like the most fitting place for it. If you know where this house is located please let me know!